Laws and Regulations: Played under the Laws of the Sport of Bowls and Bowls New Zealand Associated Regulations as applicable. Controlling Body: The Controlling Body for this event is the Bowls North Harbour Match Committee. The Controlling Body will have the right to alter, add to or delete any conditions of play and/or special conditions to enable the completion of the tournament. Entry Requirements: In this event players must be full playing members of the same club affiliated to Bowls North Harbour to enter in this competition. Code of Conduct: All players will comply with and observe the requirements of the “Code of Conduct for players at Bowls North Harbour Event” as set down in the Bowls North Harbour Centre Handbook. Postponements: Any postponements due to weather conditions will be on the Bowls North Harbour website & face-book page. Clothing: Players must abide by their Club Regulations unless there are no specific requirements. If not, teams may be in matching club uniforms, whites, or appropriate bowls clothing. This means the same coloured pants/skirt and matching shirts. A singles player may wear his/her club uniform, whites or appropriate bowling clothing. 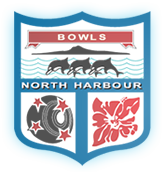 Logos that conflict with the event sponsor or with Bowls North Harbour will not be permitted. Mobile phone: Use is not permitted by players on or alongside the greens during play. It is preferred that cell phones are switched off or turned to silent. No Smoking Policy: Smoking is banned anywhere in the club house and on the greens. Clubs have designated “smoking areas” which must be used by players and officials. Alcohol: The drinking of alcohol at a Centre Event is restricted to areas in accordance with the Club’s licence. Catering: Payment of any catering supplied by clubs, including morning and afternoon teas, will be at the club’s discretion. Trial Ends: Before the scheduled start of play in any game, or before continuing an unfinished game on another day, one trial end may be played in each direction. Please refer to Laws of the Sport of Bowls, Law 5.1. Late Appearances: When any player has failed to be in position to commence play 15 minutes after the scheduled starting time, the game will be awarded to the opponent. Score cards: These must be completed clearly and in full for every game. The names of all players and the time the game finished must be entered, and the score card must be signed by both SKIPS / Singles player. Entry Fees and withdrawals: Entry fees will be refunded to late entries and entries not accepted. No refunds will be made to teams or players who withdraw less than 48 hours prior to the scheduled commencement of the event. Any withdrawals must be notified to the Bowls North Harbour office by 12 noon on the day preceding the scheduled commencement of the event. Appeal against decisions of Umpires: “The Umpire’s decision is final in all circumstances except those relating to the meaning or interpretation of a law, in which case there will be a right of appeal to the Controlling Body” (Law 43.2.6). Any such appeal must be lodged with the Tournament Director within 10 minutes of the conclusion of the game. Replacements / Substitutes: Any change in playing personnel shall be subject to the prior approval of the Controlling Body. Applications will be considered for the following reasons; sickness, bereavement, work commitments, Jury service, Bowls NZ commitments. Other individual exceptional circumstances may also be considered. The Controlling Body may require documents or evidence to support any applications. An application form is available in the Bowls North Harbour Centre Handbook, or in the Club Secretary’s Manual. JUNIOR EVENTS: Should there not be enough junior members from one Club to form a team, clubs need to liaise with the Centre Office to obtain permission for a composite team. Dual Membership: A full playing member who is a member of more than one Bowls North Harbour Club can play the same Club Championship in more than one club PROVIDING they have not already won the same discipline at one of the clubs they belong to. Clubs should have in their Conditions of Play – should you win this club championship at our club, you will represent the club in the Champion of Champion event held on. The Bowls North Harbour Match Committee will act on any complaints and all playing disputes, provided they are in writing, to the Bowls North Harbour Events Manager. Play will commence by: 9:00am on Saturday and Sunday. Qualifying: Entries will be drawn into sections of 4, a round robin of 3 games of 15 ends, 18 ends or 2 ¼ hours, or Singles 21 Shots with no time limit. Bowls: Each player will play 2, 3 or 4 bowls in each end. Defaults: If a team/player defaults their score will be recorded as a loss. The non-offending team will be awarded a win and the average net total of shots scored by the winning teams in the same round of the same section. Defaulters in Centre Events may be penalised for future centre events. Tie in qualifying play: In the event of a Tie in qualifying play, NO extra end(s) will be played to determine the winner. Time limit: All games to be continued irrespective of the score until the designated time limit (2 ¼ hours) is over or until the game is finished, whichever comes first. If the jack has been delivered before the time signal the end will continue and if it subsequently becomes dead it will be replayed. Singles has No time limit. Leads: after delivery of their second bowl. Twos: after delivery of their second bowl. Threes: after delivery of their second bowl. Skips: after delivery of their first bowl. Determining a winner: In all games three points will be awarded for each game won, and one point for each drawn game. Where game points are equal the winner of each section will be the team with the highest net total of shots. If the game points and the net total of shots are equal the team with the lowest “total shots against” will be the winner. If these are equal, the team that won the game when the two teams met will be the section winner. Post Section: The winner from each section will go through to Post Section play on DATE at CLUB. Sections ? to ? will play their post section commencing at TIME. Byes: Section ? to ? winners have a bye to the Semi Finals and will report before 11am. Post Section will be sudden death, 15 or 18 ends or 2 ¼ Each player will play 2 or 3 bowls in each end. Singles – there will be No time limit. Tie in Post Section Sudden Death play: If after the required ends are completed the scores are equal, an extra end or ends will be played to decide a winner. Prize Money: Prize Money will be paid in cash at the completion of the tournament. Regional Finals: The winners will qualify for the Regional Finals to be held at VENUE TO BE CONFIRMED against Far North, Northland & Auckland. The winner of the Regional Play-off will then go to the National Final at Browns Bay, North Harbour in April 2018. Attendance at the National Finals will be at the expense of the winners. Weather Conditions: During qualifying play, if weather conditions affect play, a minimum of – Singles – 11 ends, Pairs – 10 ends, Triples – 10 ends and Fours – 8 ends, will constitute a game. If weather forces abandonment of play, 2 completed games will constitute completion of section play, and a result found from the 2 completed games. Each venue will be considered a separate competition when applying this rule. If weather forces abandonment at any one venue before the completion of at least 2 games of qualifying, the balance of events will be transferred to Sunday. If Sunday play is affected by weather conditions, the balance of games will be transferred to the next available reserve day. The above conditions will be amended to clarify that a game once commenced should be played to its full quota of ends. Reduced ends only apply before a game is commenced. (If a commenced game is weather affected and cannot be completed on the day, the balance of ends will be completed on the next scheduled day of play – which may be a reserve day). It is up to the Event Director with the assistance of umpires to make a decision on stopping a commenced game because of weather conditions, and to decide to apply reduced ends to a game not started. It is possible that an event may need to be abandoned if rain prevents play on the final reserve day, or if there is insufficient time to complete an event even when playing reduced ends. If an event must be completed – for example to find a centre championship winner – evening play during a week may be required to find a winner. The Event Director will determine time and date(s) of play after consulting with skips or singles players. Variation of Programme: The Centre Match Committee is the Controlling Body and shall have authority to alter or amend the Conditions of Play for any Centre event should weather or other extraordinary circumstances so warrant – to enable the completion of the event. Final Conditions of Play for each event will be published prior to the event, as they may vary from the General & Special Conditions of Play above. Bowls North Harbour Centre Events (Pathway) & Junior Events allocate points to Bowls North Harbour players who finish first, second or third equal in an event. The categories are split into Open Players – Men & Women, 1-8 Players – Men & Women and 1-5 Players – Men & Women. In addition to our Centre Events points are allocated for the Ivan Kostanich Premier Singles, Open 2-4-2, Auckland Women’s Premier Open Singles, The Trusts NZ Open, Nationals, NZ Representation and Bowls North Harbour Representative players. A player’s contribution to the game of bowls and their conduct are also included in the criteria used for selecting player(s) of the year.